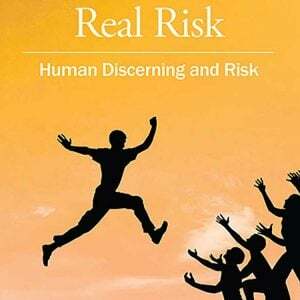 All participants receive a complementary copy of Dr Rob Long and Greg Smith’s book ‘Risky Conversations, The Law Social Psychology and Risk’. 1. Better understand duties and obligations regarding Due Diligence as required by WHS legislation. 2. Learn to dispel myths about Due Diligence particularly with regard to attribution to ‘paper systems’. 3. More clearly define Due Diligence and it’s implications for leadership in organisations. 4. Develop a more comprehensive understanding of organizational culture and how Due Diligence is enacted. 5. Be equipped with a range of leadership skills (tools) to inspire and motivate others to practice diligence in tackling risk. 6. Leave with clarity and practical tools to help influence their organisation in Due Diligence. Due Diligence is not a product of legislation. Due diligence is a broad organisational and individual responsibility that existed as a legal principle long before Work Health and Safety legislation. Every major accident inquiry anywhere in the world for the past 30 years has been critical of the failure of Due Diligence in organisations. The failure of Due Diligence is evident in every health and safety prosecution in Australia. How does one demonstrate ‘Due Diligence’? How does one know if they are negligent? How does one ‘exercise’ Due Diligence and generate assurance that critical risks are being effectively managed? The purpose of this Workshop is to help people at every level of organisations understand how Due Diligence applies in practice, and offers an holistic approach to the challenge of Due Diligence and tackling risk in organisations. The workshop deconstructs much of the mythology surrounding Due Diligence, particularly the notion that paper-based systems are a protection against prosecution. The workshop reconstructs what is needed to demonstrate an assurance of Due Diligence by a focus on skill development in conversations.